Explanation: A Delta rocket is pictured launching NASA's FUSE satellite earlier this month. In use since 1960, Delta rockets have been launched successfully over 250 times. Scientific satellites placed into orbit by a Delta rocket include IUE, COBE, ROSAT, EUVE, WIND, and RXTE. Commercial launches include Iridium. 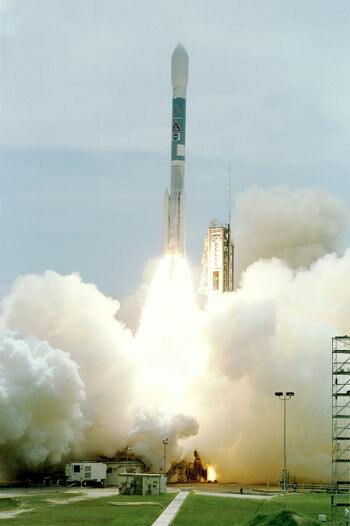 Delta launches have placed Navstar Global Positioning System satellites into orbit. Delta rockets are manufactured for the US Air Force and NASA by Boeing.